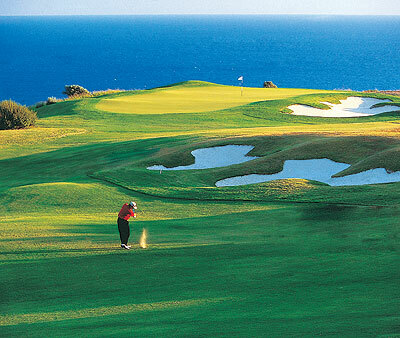 Cyprus is becoming very popular for its golf and Paphos is no exception. All three golf courses offer you the opportunity to play golf in the sunshine and for those who want to combine golf with the family holiday what better place to choose than Paphos. 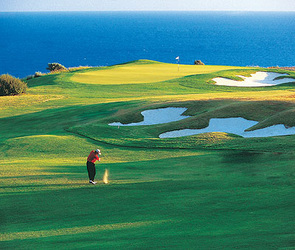 This is the newest golf course to be built in Cyprus and it opened in November 2002. This excellent golf course forms part of the Aphrodite Hills resort where rest, relaxation, and enjoyment are top priority. 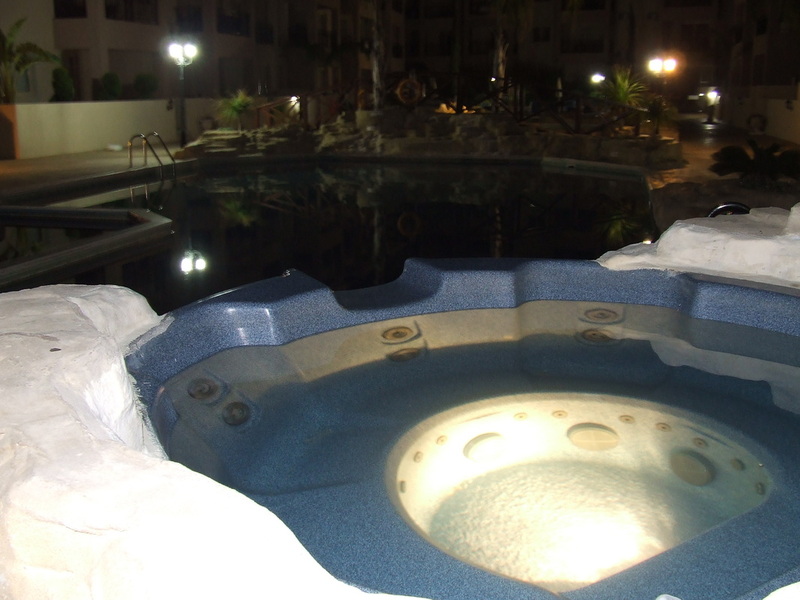 Not only does this resort play host to this amazing golf course, but there is also a spa, tennis academy, a wide range of restaurants, and a number of shops. The course overlooks the Mediterranean and from some parts you can actually see Aphrodite's Rock. The course itself has 2 plateaus that are separated by a steep rocky ravine. 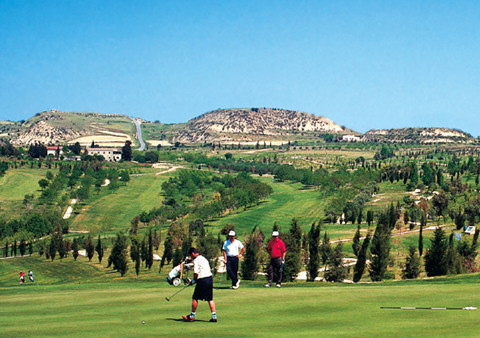 There are lakes and olive groves incorporated into this course which makes for an excellent playing field. The Clubhouse is of an extremely high standard and contains a restaurant offering only the finest foods. The course itself is challenging and is 6,200 meters with a par 72. A Handicap certificate is required and there are also excellent practice facilities. A number of PGA professionals play here so don't be surprised if you bump into any of them on your rounds. This Golf Course is an 18 hole championship golf course.As its name suggests, this golf course is situated in a valley and is located just 18km east of Paphos.The first nine holes offer an excellent opportunity to warm up and there are also two birdie opportunities. The second nine holes however, hold much more and will take longer to play.This is where the challenge really starts. The course itself is 5,900 meters and is a par 71 course.Individual lessons are available from the resident PGA professional and there are also golf practice areas too. There is also a very stylish club house and a pro shop where you can purchase all your golfing equipment. The golf course at Secret Valley boasts a natural environment and it is quite common to see ducks crossing the greens. There are mature trees, natural rock formations, and stunning scenery. 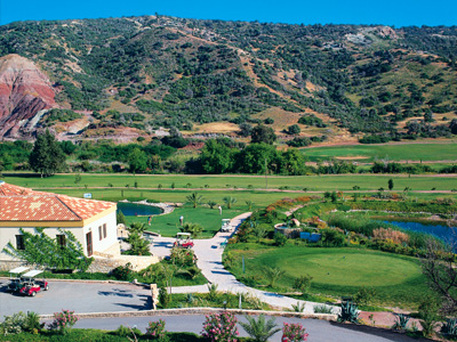 The third of Paphos’s golf courses is Minthis Hills.This was the first golf course built in Cyprus and it opened in 1994. 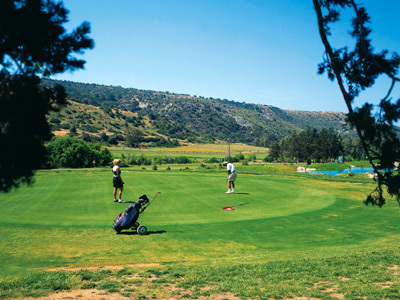 This golf course is nestled on the foothills of the Troodos Mountains and is approximately 15km from Paphos. The course itself is laid out in two loops of nine and the natural environment blends beautifully with the greens. Whilst playing this course you will come across fruit trees and grape vines, along with streams and lots of breathtaking scenery.This golf course is said to be the most challenging course in Cyprus and is 6,000 meters with a par of 71. The elegant clubhouse overlooks the course and there is an excellent restaurant and relaxing atmosphere.